Bank transfer, postal orders and cheques accepted. Floor Plans will be available to download soon. 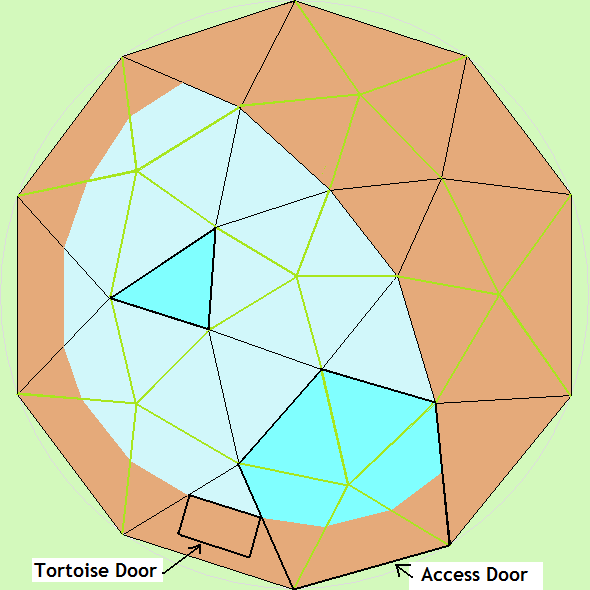 Dome diagrams that can be coloured and adapted easily in drawing packages will be available to download soon. All tortoise enclosures should have a barrier at ground level that the tortoises cannot see through to prevent stress problems. It is a good idea to have a durable lower barrier that will be water-resistant and strong to ensure security because tortoises are very strong and are capable climbers particularly when they use companions as stepping stones. 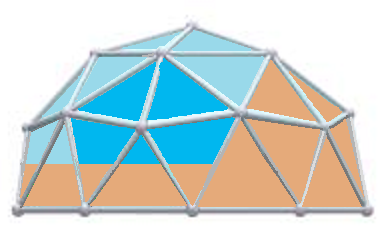 Including discussions about insulation, ventilation, heat and UV sources as well as water bowl provision, hides and ideal layouts for your domes.